In advance of the conference, which was held at the Phoenix Convention Center from July 5-9, the National Association of the Deaf teamed with deaffriendly to conduct a two-hour workshop focused on deaf-friendly customer service. More than 200 travel and hospitality professionals attended the workshop, including staff from Visit Phoenix, the Phoenix Convention Center, Aventura Catering, the Downtown Phoenix Ambassadors and downtown hotels. Margie Chemnick, who works at the downtown Phoenix Visitor Information Center, said the workshop’s instructors stressed empathy and practicality. One of the most memorable exercises, she said, was designed to deprive the attendees of sound cues vocal communication. The workshop was led by deaffriendly CEO and founder Melissa Greenlee and community outreach manager Socorro Moore. They provided some basic American Sign Language (ASL) training and shared deaf-friendly tips such as being aware of one’s physical presence—so as not to block views of screens—and using bright yellow or orange paper to make signs easier to read. The Starbucks inside Phoenix Convention Center was one of several downtown businesses that made changes to better accommodate NAD Conference delegates. A deaf barista who attends nearby Arizona State University assisted the coffee shop’s staff for the duration of the conference, and menu cards were printed so deaf customers could write down their orders in advance of approaching the counter. At the Renaissance Phoenix Downtown Hotel and Hyatt Regency Phoenix—which, between them housed about 500 conference guests—closed captioning was turned on for TVs in the hotels’ lobbies, bars and restaurants, and housekeeping staffs were instructed on how to enter a deaf guest’s room. All Phoenix’s preparation seemed to pay off: Numerous complimentary reviews of the conference experience were posted on deaffriendly.com. 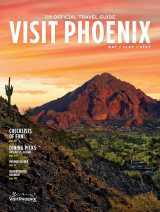 Visit Phoenix, which operates the Downtown Phoenix Visitor Center, booked the NAD Conference. More than 1,500 delegates attended the event, according to conference planners. The Phoenix Convention Center has previously welcomed deaf guests for the Deaf Nation Expo, the Arizona Commission for the Deaf, and the Deaf Research Foundation.